Background: Four years ago, I was disgusted by running. Just over a year ago, with a few half and full marathons under my belt, I still never truly felt like a runner. Now, after a season working with Peter, not only do I consider myself an ultra-runner, I consider myself a competitive athlete. Biggest running challenge: Scheduling! I struggle to balance work, social and other activities. I would always put off planning a run to the last minute. Then when faced with where, when, and how to run, I would stress and convince myself that I no longer had time. 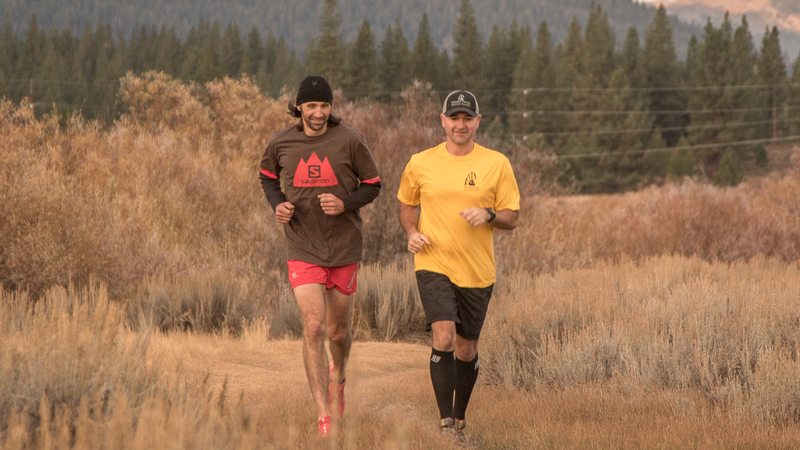 Run on Dirt approach: With my individually-tailored training plans, I no longer have to “think” about my running. I am given a trail, a distance or time, and how I am supposed to run that day. With a majority of the logistics already planned out for me, it’s much easier to fit my run into my daily and weekly schedule. Results: A new-found confidence and a relentless pursuit to push my boundaries further. The confidence was a big one, because it wasn’t just limited to my running, it carried over to my personal and professional life as well. I no longer approach a race with the attitude of, “I just want to finish.” While this is a perfectly acceptable goal in the ultra world, and in some cases, not an easy one, I have found myself not only setting time goals, but achieving them. My 50-mile race results are a perfect example of this and show my progress working with Coach Fain.